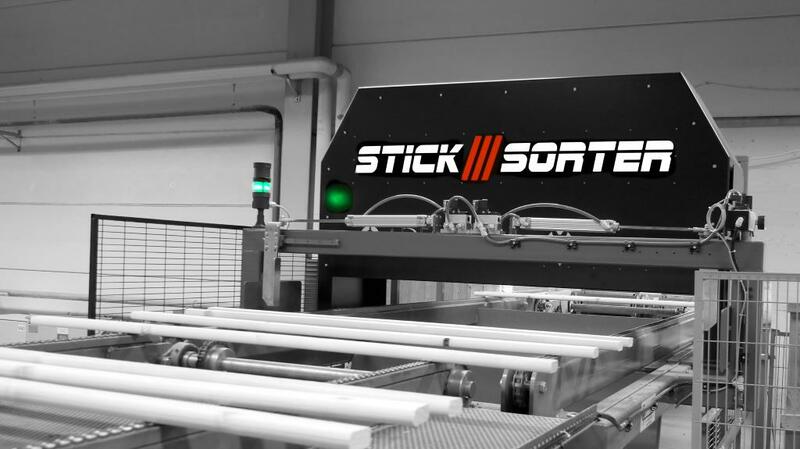 StickSorter ensures the quality of your sticks and automatically sorts out those not living up to your expectations. and its function is easily cutomized in a user-friendly interface. Both performance and uptime increases in your stacker line, while assuring stick quality and a safe stacking. A sophisticated, versatile and fast scanning algorithm tracks the defects in your sticks. With a modern, intuitive user experience, StickSorter is designed for usability. Production flow drives up with less downtime and no need for manual sorting. So expect a quick return on investment. All quality tolerances and demands are easily adjusted interactively. Smooth and easy integration in any stacker line, with minimal space requirements. World class technology ensures accuracy and robustness in every detail. Use statistics to analyse your stick usage and track potential bottlenecks. The quality of your sticks is analysed based on seven defect categories. abnormalities that cause stoppages, if not sorted out. We believe that a system can only reach its full potential with a well-thought-out user experience. StickSorter is easily set up and monitored using a modern, user-friendly touch interface. Every stick is visualized and result, action and any cause of discard are displayed in real-time. Quality tolerances and demands are easily adjusted interactively. With a setting for every defect category, StickSorter lets you define your own level of stick requirements. Or just go with the default settings, they work perfectly well! "StickSorter has had an significant impact on the number of disturbances and stoppage time." ADEC provides intelligent automation for industrial processes. With our base in Sweden, a country that was largely built on forestry, we have developed unique skills in wood processing. By combining modern technology with this special 'sense for wood', we create customer value. Since being founded in 1992, we have delivered hundreds of systems to more than 20 countries around the world.